Another day another 101 Things in 1001 Days list item completed. Today I spent the entire day eating nothing but blue food. These foods were naturally blue. There was no dying, there was no artifical colouring of any kind. Only naturally blue foods. Turns out that there aren’t many foods that are naturally blue in colour. Before you all scream out “Blueberries you fool”, it turns out that they are not blue but are naturally purple. Yup, I ended up eating crumbs of the blue mould that grows on cheese. Yes I did make sure that I removed the yucky yellow/orange cheese to leave only the… delicious… bitter…. blue…. 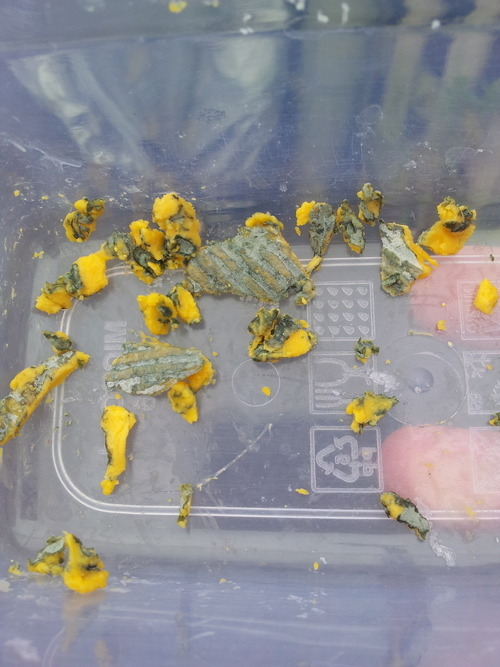 mould…. I pretty much spent the day starving myself. Good thing I was able to drink normally. I went through a lot of coffee to suppress my hunger.